Nirmala Pathmanthan is the director of the Westmead Breast Cancer Institute. A new study has confirmed that chemotherapy can be safely skipped in a large number of breast cancers. The findings, published in the New England Journal of Medicine, showed that up to 70 per cent of women diagnosed with early stage breast cancer could safely avoid chemotherapy without increasing their risk of recurrence. These women were identified using a genetic test on the breast cancer tissue. The study results are expected to save many patients from the nasty side effects of chemotherapy such as hair loss, nausea, vomiting and more. 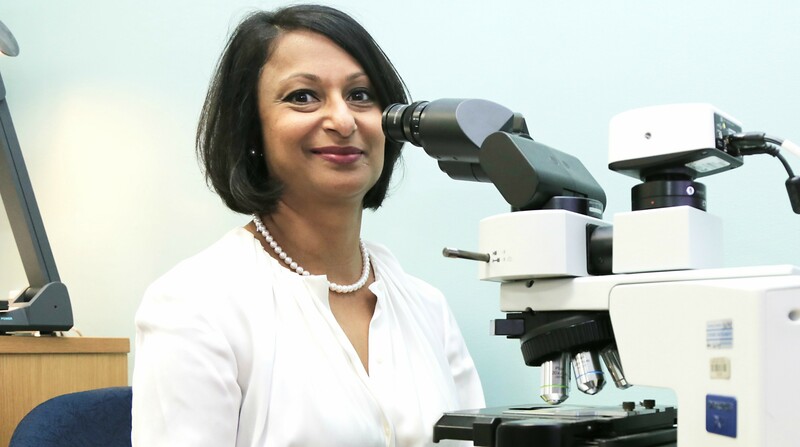 Westmead Breast Cancer Institute director A/Prof Nirmala Pathmanathan that a study using this technology was also being undertaken at Westmead, looking at identifying women with sufficiently low risk of breast cancer that chemotherapy would not be needed. Annie Markey gets a screening with a BreastScreen radiographer at Auburn Hospital. “We are currently running a trial at the Breast Cancer Institute using one of these gene tests to see if it makes a difference in the decision whether or not to give chemotherapy,” Dr Pathmanathan. Early detection remains one of the best ways of avoiding chemotherapy, as cancer will be identified in it’s earliest stages. For more information about where and how to book a breast screening test, call BreastScreen Australia on 13 20 50. What does the budget mean for Sydney’s west? 19 Jun, 2018, 3:35 pm Sia Anthopoulos Comments Off on What does the budget mean for Sydney’s west?